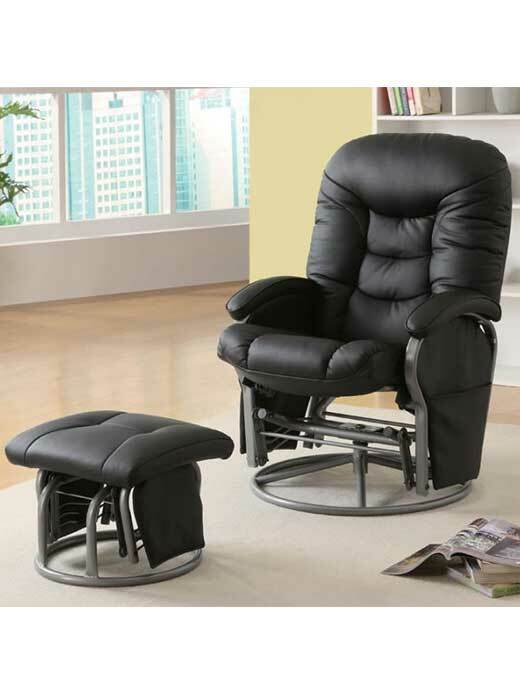 cushion is set at an angle that invites you to put up your feet and surrender to the relaxing back and forth motions of the glider function. 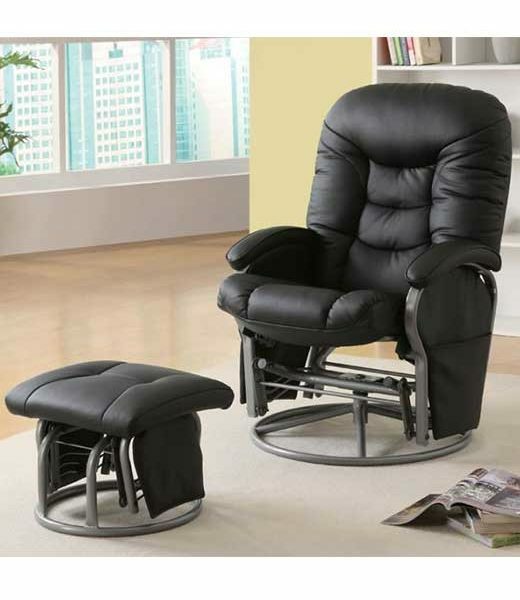 An exterior handle on the base releases the reclining mechanism for the ultimate in relaxation. Black leatherette upholstery.Place in your living room or den for plush comfort from dawn to dusk.